Pre-monsoon rains have started to affect Southeast Asia including countries like Malaysia and Indonesia. There are several places in Malaysia that have received moderate to heavy rains during the past 24 hours like Penang (39.2 mm), Sibu (35.6 mm). In Indonesia also the situation is similar where moderate to heavy rain has been recorded in the past 24 hours in places like Sibloga (54 mm), Kerinci (39 mm), Telukbetung (39 mm). The above rain is attributed to the Inter Tropical Convergence Zone (ITCZ). This occurs from March to May just before the monsoon. ITCZ has embedded activity centers that produce torrential rains in the region. ITCZ is a belt of area where two wind systems converge. ITCZ is oscillating in nature (North to South and Vice- Versa). Since the ITCZ is oscillating in nature, breaks from rain are expected. At present, it is close to Southeast Asia in the Indian Ocean and moving towards Sri Lanka, South tip of India and Southeast Arabian Sea. 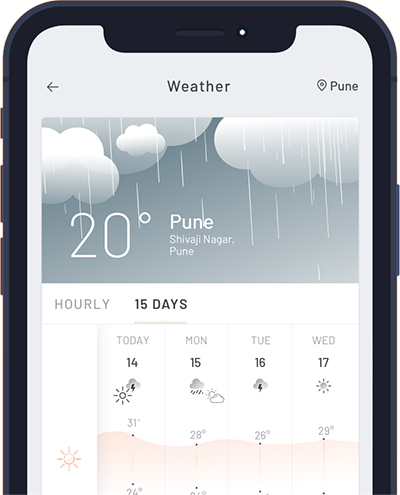 Right now, it is between 0° and 10°N and will start shifting beyond 10°N during monsoons. Since, the ITCZ will hover over the region, the weather outlook for the next few days is that the rain will occur with varying intensity both in amount and time.